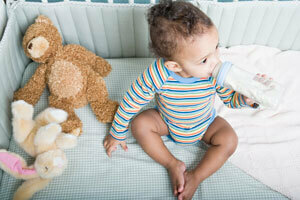 Like a favourite stuffed animal or blanket, a child’s bottle can quickly become a major source of comfort. Night-time bottle feeding, however, can contribute to tooth decay. That’s because the sugar that’s found in milk can cause decay. This decay development often occurs when children fall asleep holding their bottle and milk is left to sit in their mouth overnight. To keep your child’s mouth healthy, take the bottle from them before they fall asleep. Then carefully wipe off their teeth and gums to prevent decay from developing. You also may want to consider gradually swapping out the milk with water until the bottle is filled with just water. Remember that it’s important to bring your child to see the dentist by their first birthday. We will examine your child’s first teeth for signs of early decay and provide tips on weaning your child off their bottle at bedtime. Do you find yourself opening packages, envelopes or bottles with your teeth? Perhaps you employ your pearly whites to rip tag ties off new articles of clothing or cut packing tape. Broken teeth not only will make chewing difficult but painful as well. You also will have to spend money to fix that broken tooth. In cases of malocclusion, you may develop painful TMJ. So while your teeth may be able to handle tearing into a tasty steak, they’re not designed to serve as tools. Save your smile and let the real tools in your house do the work for you. 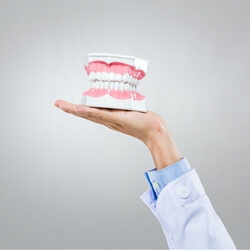 Regular checkups can identify any tooth troubles, so we can address them promptly. Maybe you brush your teeth for a few seconds in the shower or do a quick swipe before heading to work or bed. Kids aren’t the only ones who sometimes don’t brush long enough. Adults are guilty too. Brushing for about two minutes each time is essential as you need to reach all of the areas in your mouth to help prevent cavities. According to some research brushing for at least two minutes was associated with a reduction in plaque. By brushing for two minutes, you’re covering all the tooth territory in your mouth. 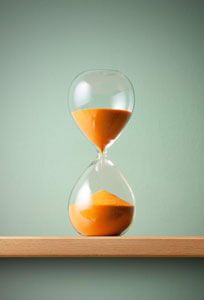 Consider setting a timer on your phone or use an old-fashioned hourglass timer. Encourage kids to brush longer by offering them stickers or other tooth-friendly rewards. You also want to be sure your toothbrush is up to the task! If the bristles are frayed, it’s time to get a new one—usually every few months.